Danica Knezevic’s body of work is a collection of performance-based audio-visual installations, focusing on understanding and cultivating the self. The artist believes that we need to be mirrored in order to reveal identities. The reflections in her work represent her internal dialogue, as she mediates on her sexual, gender and ethnic identities. Danica Knezevic is inspired by the individual’s search for self and identity, that is, what lies between visibility and invisibility. She searches for the self through performance and immersive audiovisual experiences. She draws on the work of psychoanalyst Heinz Kohut to examine the intimate relationships within the self. The artist’s family history and cultural heritage is the catalyst for her work. She questions her origin and expresses this through self aware and self-referential artworks. Danica Knezevic is based in Sydney, and has recently completed her Master of Fine Arts degree at Sydney College of the Arts. 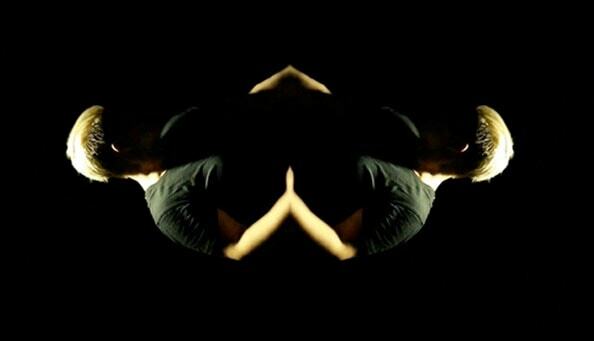 Her series ‘Minding My Own Mirrors’, a collection of video works and 5.1 surround sound.